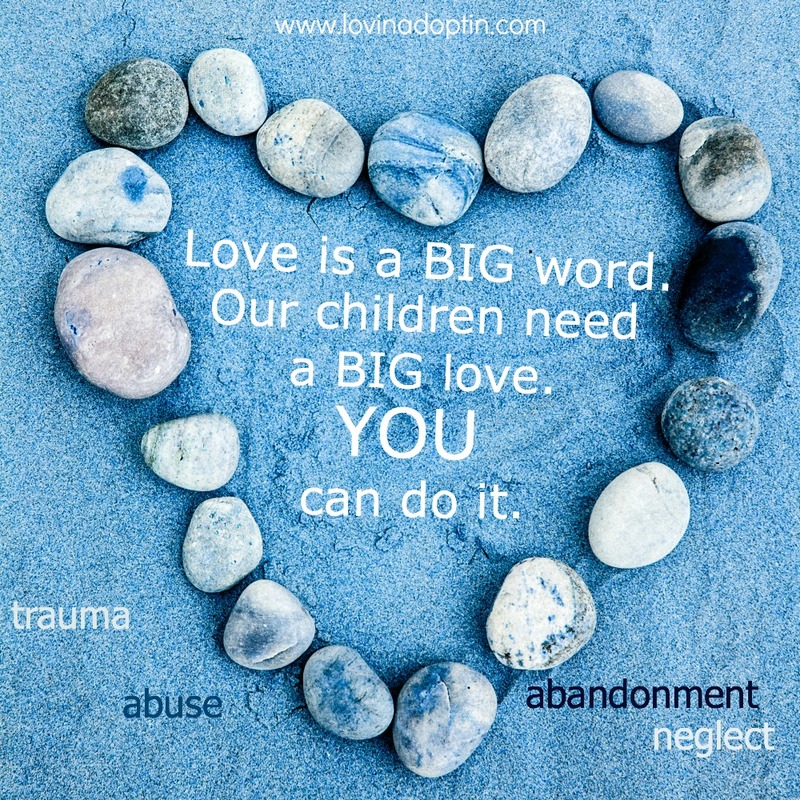 This entry was posted in Uncategorized and tagged abandonment, abuse, adoption, attachment issues, foster care, is love enough, mood disorder, neglect, Oppositional Defiance Disorder, PTSD, Reactive Attachment Disorder, trauma. Bookmark the permalink. I agree with you, love is enough if you consider it all inclusive. The question becomes, can you love this child to the point that you are willing to shape your relationship with them to meet their needs? As an example, our son was 16 when we got him. While we had an older son and had experienced 16 already, this one was different. Our approach and even the way we cared for him had to be different. It wasn’t as simple as he’s a 16 year old boy so he must be the same as our older son. We had to love him for who he was and be willing to change ourselves, our usual way of doing things, in order to meet his needs. Even when at our emotional limits, we had to remind ourselves that he has been shaped by his past and his pushing us was part of what he learned in order to survive. The overwhelming proof that we have made the best choice when it comes to our son is when we hear from others, who have known him far longer than we have, that they can’t believe how much different he is. Happier. Loving. A completely different kid. Love is enough. It has to be a whole hearted, willing to change, seeing the child through their hurt, parental love that you have never experienced before. Yes, that kind of love is enough. Thank you for continuing to write. It’s reassuring to know others have the same struggles and joys in adoption as we do. Love it and agree whole-heartedly, very well said. Thank you for sharing, and as always, for reading. Hi John, thanks for stopping by and for asking the hard questions. I will refer to your child in this response as “Ashley”. It sounds like Ashley is angry, and could be telling herself things that aren’t true. Maybe she thinks that if she misbehaves, you won’t adopt her and she can go back to her parents. Although it would do harm to mention this to her. Anxiety about what’s happening can lead to outbursts. Several other issues are probably circulating in Ashley’s mind. It’s important to make connections with her and you can do this through play/interactions (this post will help begin the process) so she doesn’t feel intimidated. Recognize you may not get any answers. Is there an instance that leads you to believe that the beginning of school with these siblings is a marker of negative behaviors? Do you know why this might be? Can I ask what behaviors the child has that are uncontrollable? And for you, what does 24/7 care mean? I don’t believe anyone has the ability to care for a traumatized child based on training alone, it takes incorporating that training and learning how to do it while “on the job” that makes it possible. I am not a proponent of letting go of children, whether they’re in foster care or adopted. 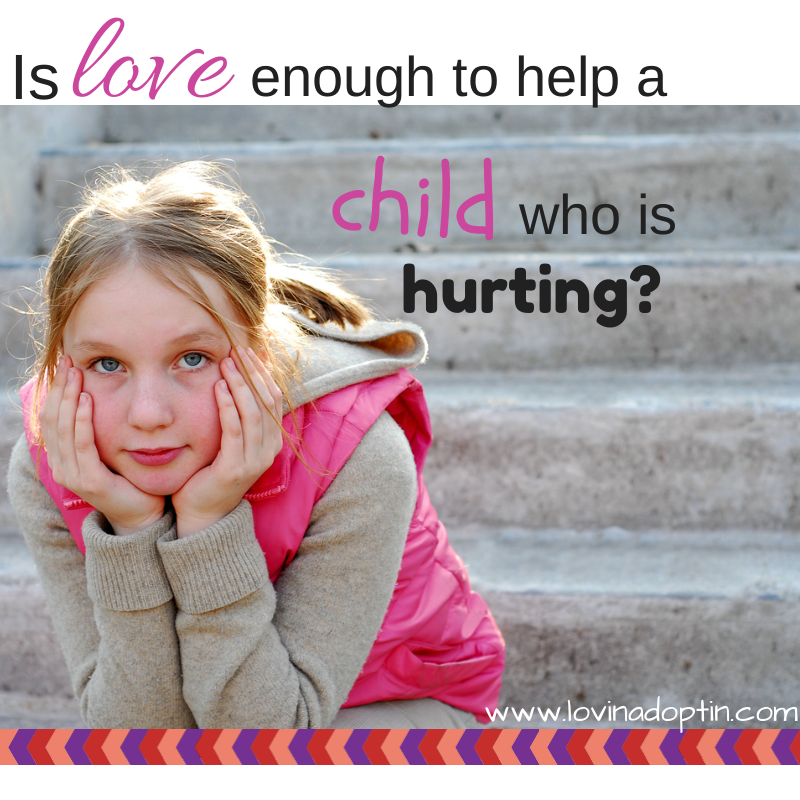 I believe it hurts a child tremendously when they know they aren’t wanted or are too difficult to deal with. If you would like to converse further, feel free to email me at whitts99@gmail.com. I love reading that you consider all the hard work, and continual learning part of that love. For many people, they think hugs will fix it all, and that is so far from the truth, it can take a very long time for a child to want a hug.They have so many different challenges having come from very different backgrounds that we’re constantly reading, researching, learning to provide the best care we can for the children in our home, because, regardless of how long they are in our home, we love them. They are part of our family and will always have a place in our hearts. Love your perspective. Thanks for sharing.